When the sun’s out, there’s only one thing to eat. Whether you fancy gelato or sorbet, these are the best ice cream spots in London. With its blue-and-white tiled decor, you could easily be in Italy and not the middle of Soho. 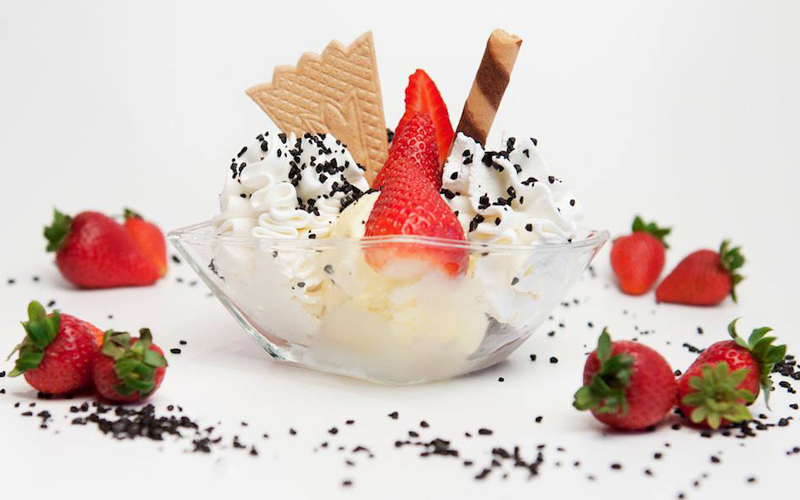 It’s all about authentic Italian gelato here made with fresh and natural ingredients. But strictly traditional this ain’t! 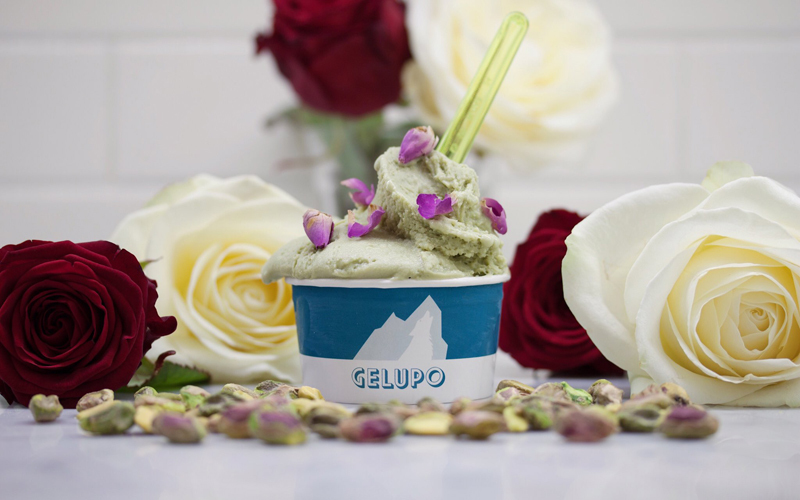 As well as your classics, Gelupo does avocado sorbets and mango sticky rice gelati. They aren’t messing around at Four Winters using liquid nitrogen to make ice cream right in front of you. 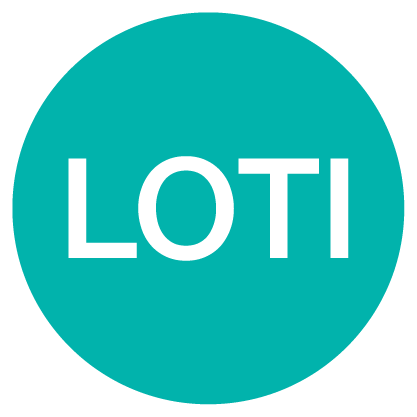 Their menus are themed by the season, so for spring you can find flavours like lavender honey, strawberry cheesecake and the Turkish delight-inspired Rose Lokum. For those wanting a fancy ice cream experience, you probably can’t do any better than The Parlour at Fortnum & Mason. 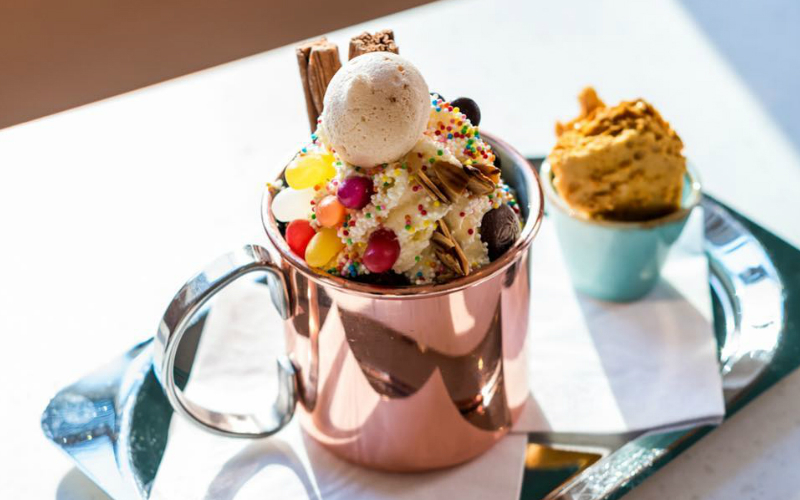 The Parlour offers a range of decadent ice creams based on retro British faves like the knickerbocker glory and the banana split. And for those who want to push the boat out even further, there’s even the ‘Afternoon Tea in Ice Cream Form,’ which is exactly what it says on the tin. If meal deal sandwiches are not for you, Happy Endings offer the perfect alternative. Yup you guessed it, we’re talking about ice cream sandwiches. Based in Old Spitalfields Market, Happy Endings serve up their luxury creations every Friday, Saturday and Sunday. Made with organic chocolate from Original Beans and cream from The Estate Dairy, this is defo an upgrade from your usual sarnie. 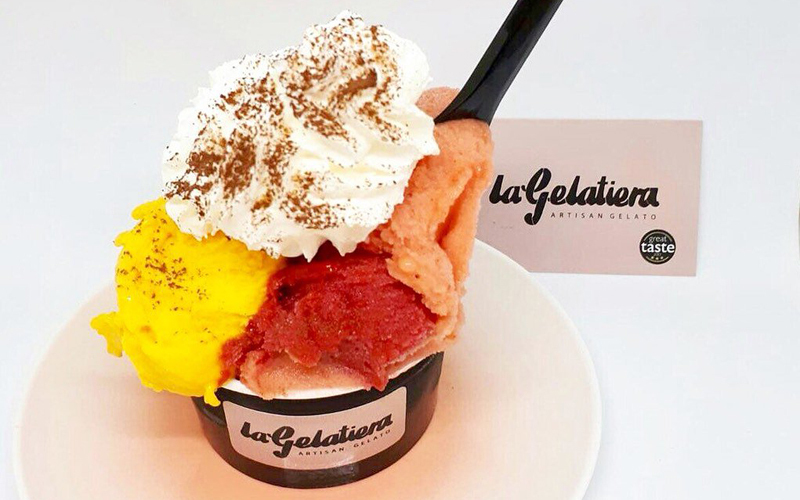 La Gelatiera make traditional artisan gelato according to their Slow Food philosophy, so all their gelato is egg and gluten free, and lower in fat than most ice creams you’d find in the supermarket. So you can eat more of it, right? Their East Village store even has its own gelato-making lab so you can watch a fresh batch of ice cream being made whilst you scoff yours down. 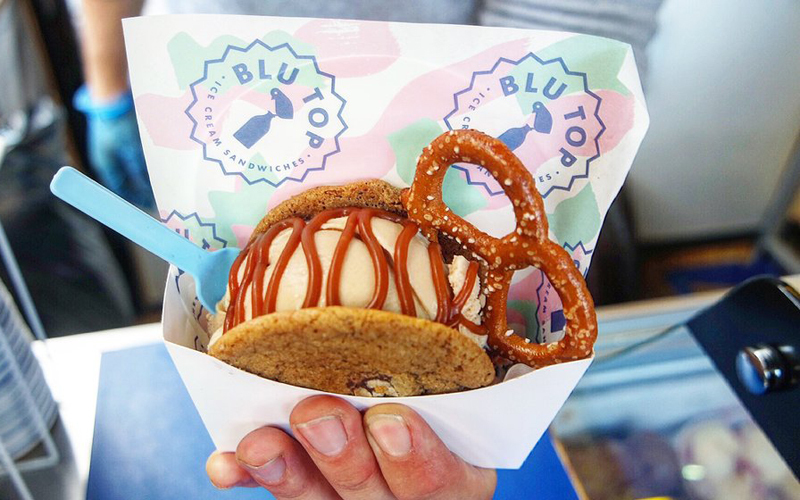 If you need a reason to go to Brockley Market, Blu Top’s ice cream sandwiches is it. They make all their ice cream in their Deptford studio and then mash it between freshly baked chocolate chip cookies, and they’re not afraid to experiment either with flavours including rosemary-infused Garden Gate to the root beer-flavoured Soda Berg. And if Brockley’s a bit too far south for you, you can find Blu Top popping up at a range of locations from Victoria Park to West India Quay. 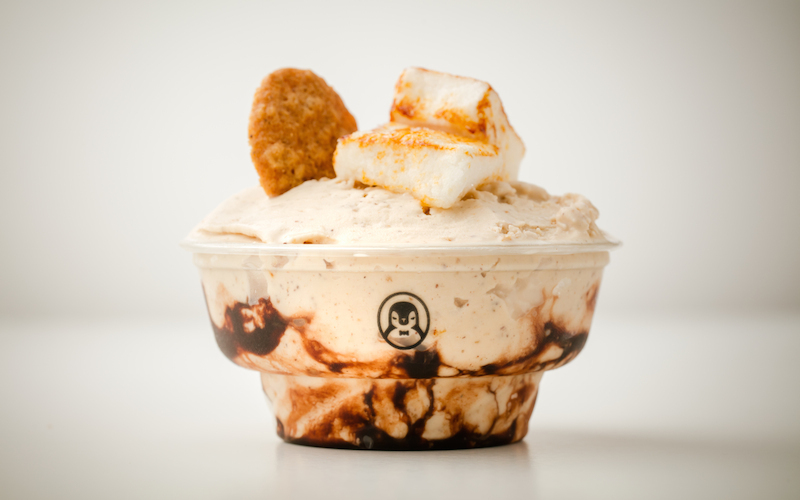 You can’t get more traditional than Venchi who have 140 years of gelato-making experience under their belts. They have five stores across London, but with a gelato lab and a running chocolate tap, their Covent Garden shop is the one to head to. 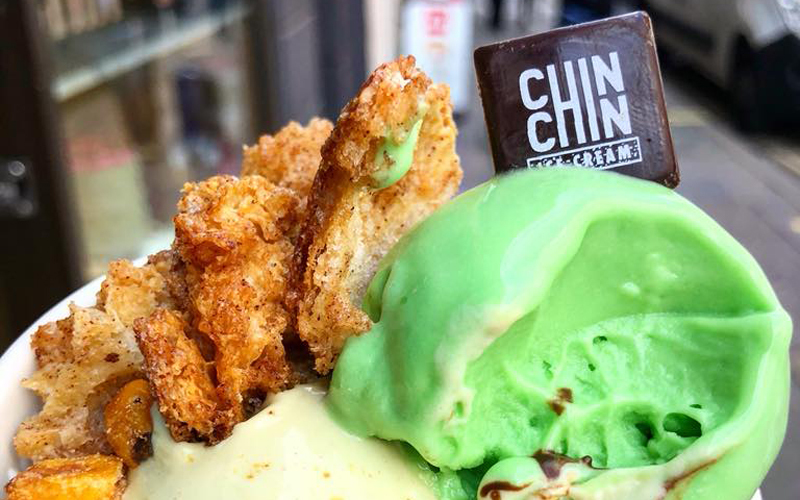 From creating a nitro ice cream parlour in Camden to collaborating with Cadbury to create a Creme Egg Sundae, Chin Chin know how to make weird and wacky ice creams. 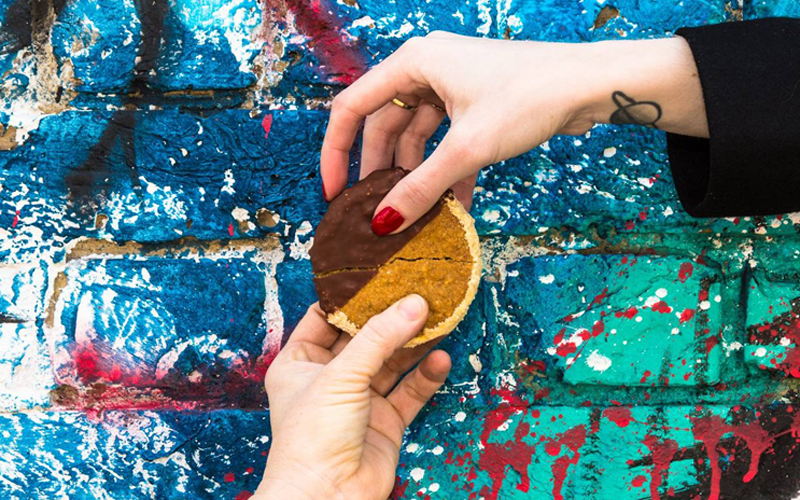 But it’s their Soho joint that we love, where they mix luxe chocolate and caramel flavour ice-creams with cakes, cookies and ice-cream sandwiches. There’s always a bunch of toppings and sauces to pick from, and with a wide variety of vegan options as well, there’s something for everyone here.